The goal of this site is to bring the aircooled community closer together, especially when someone is SOL on the side of the highway. 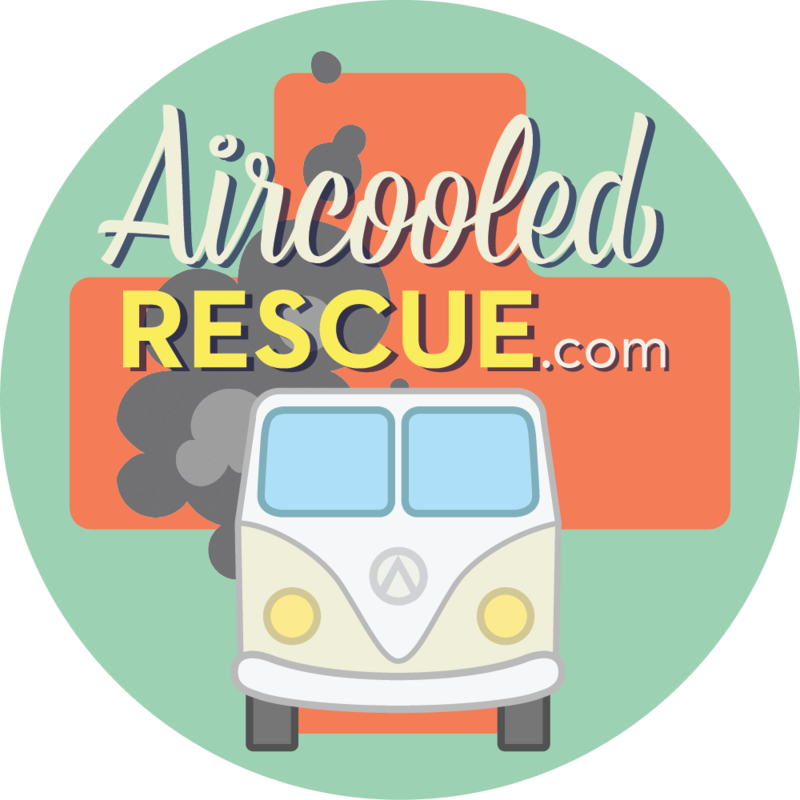 You can contact me at aircooledrescue@gmail.com with any questions, concerns, requests, stories, etc. If you're a Aircooled VW specialist, you can contact me to get a custom listing. You can get stickers by donating below. Stickers are 4 inches in diameter and made of vinyl with UV protection. Please put your address in the donation message (last step in the donate process). The image to the right shows what they look like. Jerry pointed me to a good shop in Bakersfield, very helpful, thanks so much. Got me back on the road. I am driving across from California back to New Jersey in my 1964 bug. Just blew a motor though coming into Indiana. Not sure if you can help much but if you have a motor sitting around I could buy it off you and get this thing put in to complete my trip. THanks and let me know if you can help me out. ditto on all the others w/ Karma & Kudos for Colin - do yourself and your VW a favor - book Colin for a visit to your door yard on his annual Itinerant Aircooled tour & pilgramage. You will be amazed at how well your ACVW can funtion when tuned properly w/ a true guru by your side!! Very skilled Aircooled mechanic! Wonderful people! They have helped me out a few times. So GREAT to meet you and spend time with you! Hope to see you again! Colin can help you over a short email more than most can help you in person. the man knows his stuff....and love his ability to think out side of the box with creative solutions... he is the VW McGuyver! The importance and helpfulness of Amskeptic's services cannot, really, be overstated or recommended highly enough. You owe it to your car to have him pay you a visit.